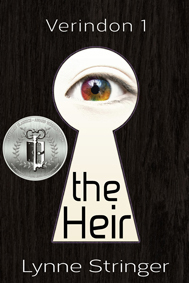 The cover of The Heir took a while to complete, and it can be polarising. Some readers love it, some hate it. What do you think? Can you think of anything else we could have done? Last week I talked about fonts and how they can often make or break the cover of a book. But there are a lot of elements to a cover, and the font is only one of them. I think the most contentious point I’ve seen relates to the cover image. Should the author try and find a photo (or have one taken) that shows the characters in the book? For some, this might seem a no-brainer. However, I’ve encountered numerous readers who detest images of characters on the covers of books. The ones I’ve spoken to believe it prevents them from imagining the character themselves, which they prefer. Not only that, it can be hard to find stock images that use people who look like your characters. When I wrote The Heir, I gave my female protagonist, Sarah Fenhardt, short brown hair. Little did I realise how difficult it would be to find any stock images of young adults with short brown hair, and I needed one for my second book trailer. Eventually, I had to make do with one that came close, but it still wasn’t exactly what I was looking for. The trailer is here if you’d like to see it. The cover of each book in the Verindon trilogy had more of an iconic image on it. No people at all. However, my new novel, Once Confronted, will have a picture of my new female protagonist, Madison Craig, on the cover. I hope it won’t put too many readers off. While it can be difficult to find useable photos of people who can represent a protagonist well, neither is it easy to find an iconic image that reflects the book! Both have their challenges. Do you have a preference? Do you like book covers that show the characters or do you prefer some iconic image so you have the opportunity to create the protagonist in your own head? Let me know in the comments at the bottom of the page. Yes – I’ve been through looking for suitable images for my characters. Even publishers have said it was hard to find a suitable one. My own preference is for a photo of the person for a biography and no person (or a silhouette) if it is fiction – unless it is an incredibly ideal image. I hate some of the cheap images of people. They do vary a lot. Thanks for your article, Lynne. PS All the best for your new book! I don’t mind people if they go with the book descriptions. Don’t tell me in the book the hero has a horribly scarred right side of his face and have him on the cover with his right side unscarred. I’m working through that dilemma myself – with fantasy, it’s not just finding the stock images, but finding ones that fit into the world building – which may be why a lot of fantasy uses artwork. However, there is a trend with fantasy to use a icon or image – eg. the Lunar Chronicles series or Game of Thrones or The Hunger Games. I think it’s fair to say that genre plays a role – icons fit fantasy, shadowy figures may works better for crime, suspense or a thriller while people may be more appropriate for romance or historical. Yes, I do think, with fantasy, it’s largely dependent on finding something that fits the world. If I don’t feel the cover image looks like the character, I’m happy enough to ignore the picture without getting too stressed, yet it’s good when they do. In general, a face on the cover personalises a novel, but it’s difficult to find one which is a perfect match for the author’s description or reader’s imagination in every respect. Yes, I don’t think it’s that huge a deal but it’s amazing how many people seem to think that.